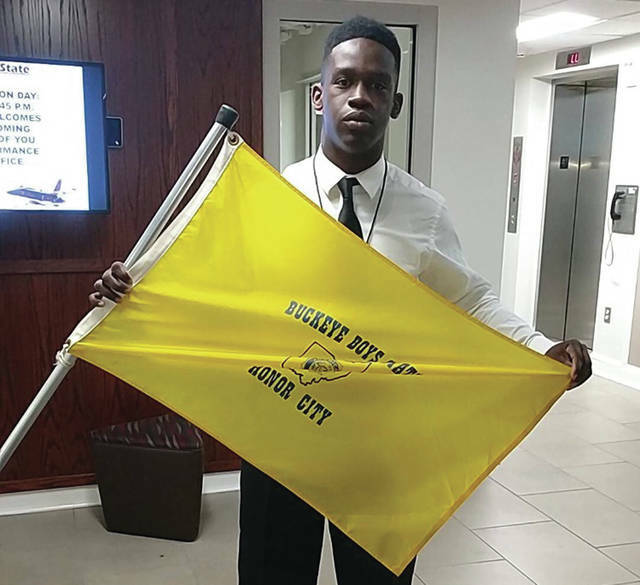 Xavier Williams, shown at Buckeye Boys State, is selling socks and t-shirts with proceeds going to local breast cancer charities. Xavier Williams is coordinating a pink out for the last home football game against Archbold on Oct. 26 in support of Breast Cancer Awareness Month. He has invited Archbold to participate with Swanton to have a true pink out. Williams said he is making it his HOBY passion project because it had an effect on him personally and now it’s in his community and he wants to help. The girl soccer team recently held a pink out to show support for soccer parents Leslie Oakes and Krista Hendricks and the volleyball held a pink out against Liberty Center. Williams is selling t-shirts and socks until next Monday, Oct. 15. Order forms are available in each building including the Board of Education on Main Street. The monies collected will be donated to local breast cancer charities.